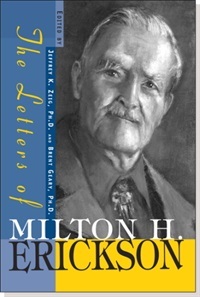 Letters of Milton H. Erickson, M.D. In these letters we are privy to Erickson, the man, in a way that provides new insights into his power as a clinician, a researcher, a theorist, and an individual. That's Right, Is It Not? 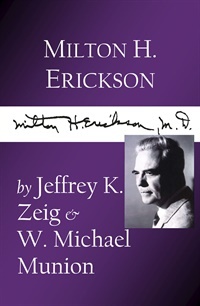 : A Play about the Life of Milton H. Erickson, M.D. 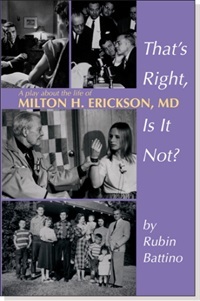 Imagine spending an evening with the icons of a profession and you begin to appreciate what Rubin Battino has fashioned in his literary play on the life of Milton H. Erickson, M.D. 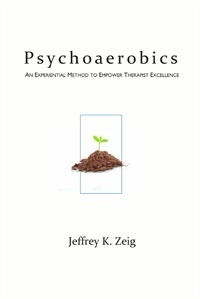 Using this dramatic device, like a Greek dialogue, Battino applies the same approach he used in his highly successful bioplay of Viktor Frankl: Meaning. 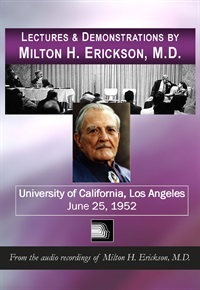 The voices of Dr. Erickson, his family, Margaret Mead, Stanley Milgram, John Weakland, Jay Haley, and many, many others resonate in the reader s mind. 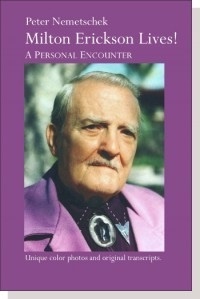 Using Erickson s own words, and the words of his contemporaries, the scenes cover his early life and professional development, his family experiences, his professional interactions, and even some classic cases.